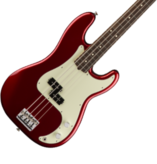 Fender® Forums • View topic - Cool, A Bassman 800 Is Coming! Cool, A Bassman 800 Is Coming! Post subject: Re: Cool, A Bassman 800 Is Coming! Yes, it is a 410 Jensen speakers amp. The twin Reverb has two Jensen 12's in it. Oh, OK. The 4 x 10" model. The one I'm thinking of I think has a different name. I think they just made those in the 70's, maybe the late 60's. About the time they had the PS400 bass amp and the Super Bassman. Sometimes it's tough to keep up with the current names in a brands product. Or these days, the amount coming out now. I know the Super Bassman is $1,800. Plus tax. I know it’s not the same amp type but damn. The Ampeg tubes are priced no better. Yeah, unless you take the Heritage SVT, which is like $600 more, and the Ampeg SVT-VR, which is $400 more. The SVT Classic is the same price as the Super Bassman, at least at AMS. Probably the only difference between the Ampegs is cosmetic, and the Heritage is assembled in the US. I'll bet the insides are all the same components. That's right too. 300 Watt tube amps do have the power, and the tone. 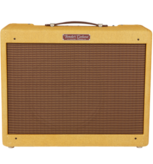 The Ampeg V-4B is $200.00 less than the Fender 100T. Both 100 watts tube amps. The 100T does however have Auto Bias system in it. It can also be trimmed down to 25 watts for a lower powered volume. Although the V-4B is 100 watts, the tube power, and tone go great with a 2X12 cab. I guess you can't tell I'm overly biased for 2X12 cabs, can you? Hey, you like what you like. I didn't realize the Ampeg was $200 cheaper, though. You know who really is expensive, and I'm not really sure was worth the cost, is the Orange stuff. I'm not going to knock it, but it certainly wasn't for me. It did seem well built, though. Orange is up there with Mesa, Aguilar. That's some expensive stuff, but like you said, you like what you like. Yeah, and that stuff isn't even the UK built stuff, but the Chinese made stuff. I doubt those workers are making that much more for the Orange, than say the Fender, or Ampeg, especially in that country. It wouldn't shock me if it all was in the same plant. They do that, you know. Then again, so did the US back in the 60's, with the Silvertones, Valco, Kay, Danelectro, etc., and in Japan. Cort in South Korea made stuff for everyone, besides their own brand. Samick, too. The thing with the Chinese stuff is they'll make it as good as whoever want to make it for them wants them too. So not everyone is going to be total crap because it's from there. My Rumble has been holding up good, and from what I've read, that generation had less issues than the recent 3rd one from Indonesia, and I've had it 7 years now. Time will tell with the Ampeg, since I've read about the issues with the early models, but they apparently fixed most of that, and Yamaha owns them now, and they generally put out good stuff. Some or most of the Fender Bassman amps are MIM now. I'm hoping with Yamaha working the puppet strings of Ampeg, there is a more respectable product. Yeah, that would be a good thing. There's a lot of history there, so it would be a shame to have that tarnished. Then again, I think just about all of these big wig brands have gone through trying times, especially since they've been bought and sold by corporations that are usually run by suits, and not musicians. 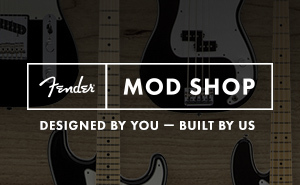 Look even at the history of Fender. They certainly weren't immune to this. 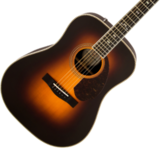 Then there is stuff that was classic in the 60's and 70's, like Acoustic, which is now a more or less budget house brand for Guitar Center. I have to say, they look pretty good, and have nice features, but I don't know how well they hold out, and there's the annoying fact that they are only through Guitar Center. 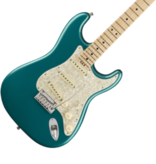 If memory doesn't fail me, like most of my body parts anymore, Clarence Leonidas "Leo" Fender, was an electronics whiz, and not even close to a musician. Supposedly Leo never play a musical instrument either. he was also a bookkeeper in earlier endeavors. Yeah, he had a radio shop at first, I do believe. I can see how that would eventually evolve into amplifiers. I always thought it was funny how Marshall had a drum shop, then just wound up making amps. I guess if you see an opportunity, it's best to jump on it, even if it doesn't have anything to do with what you're currently doing that much, if at all. On Saturdays, The Lord of Loud, Jim Marshall, gave drum lessons to some young man named, Mitch Mitchel. Just before another young man came into purchase some Marshall amps, at full retail price. The Master, JAMES MARSHALL HENDRIX!